Sadly Heather, it has. 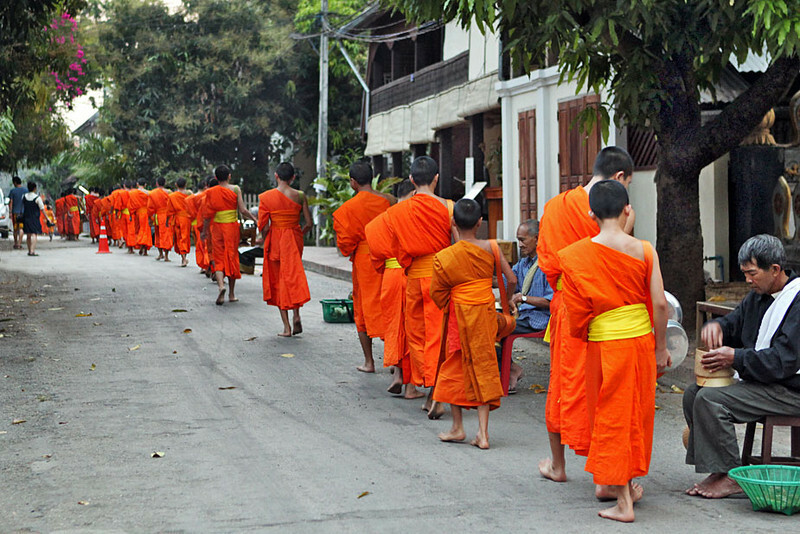 I even heard rumors that the Lao government has threatened that if the monks decide to stop the practice, they will arrange for lay people to dress in monks robes and collect alms so the tourists will still come. Don’t have any idea if it is true, but heard it from several local people. Really a shame it has turned into such a circus, and part of it is the locals who have capitalized on it by selling food, much of which is poor quality.